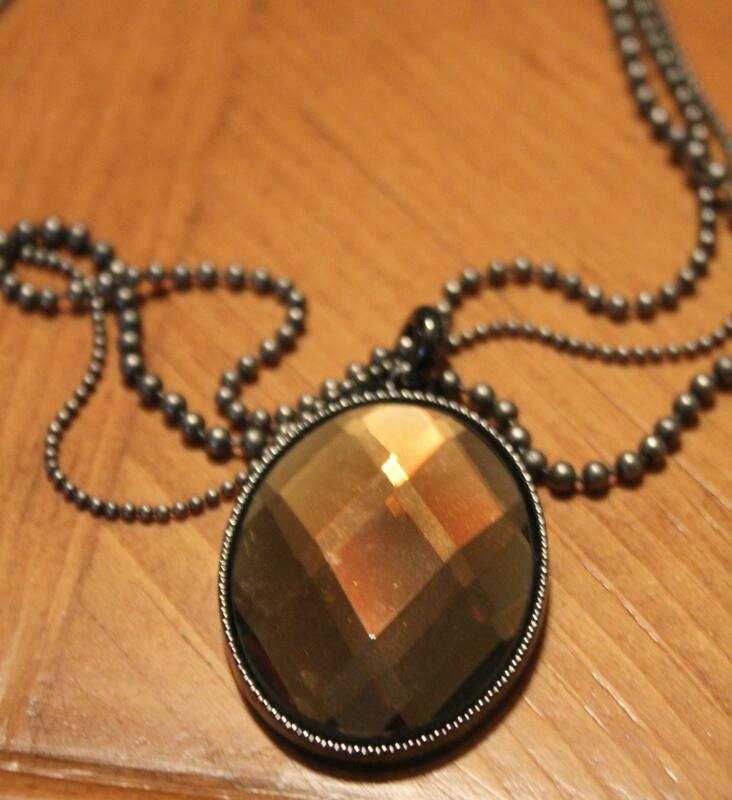 The combination of gray gunmetal chains and the faceted amber pendant gives this piece a rich, eye catching Classy Punk look. 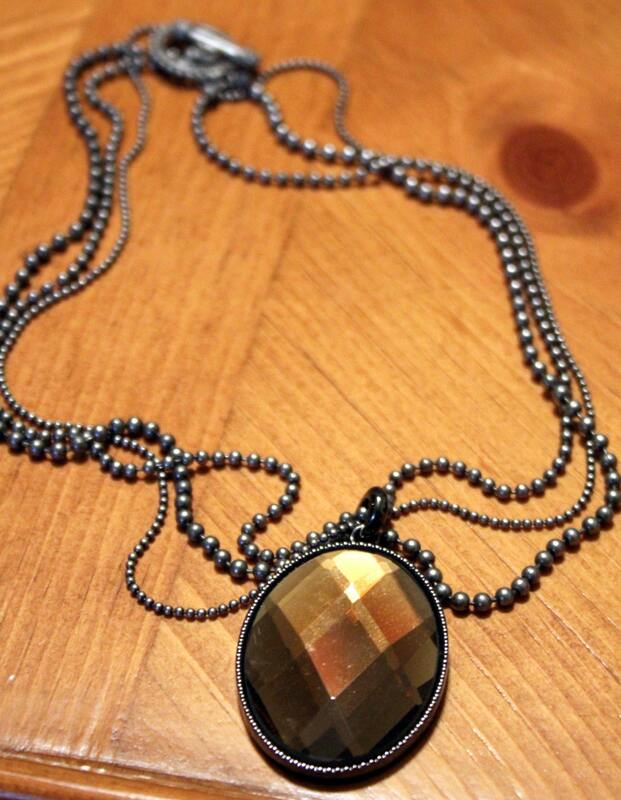 The gray ball chains are in three different diameters to give the necklace interesting texture and the amber faceted glass pendant gives it subtle sparkle. 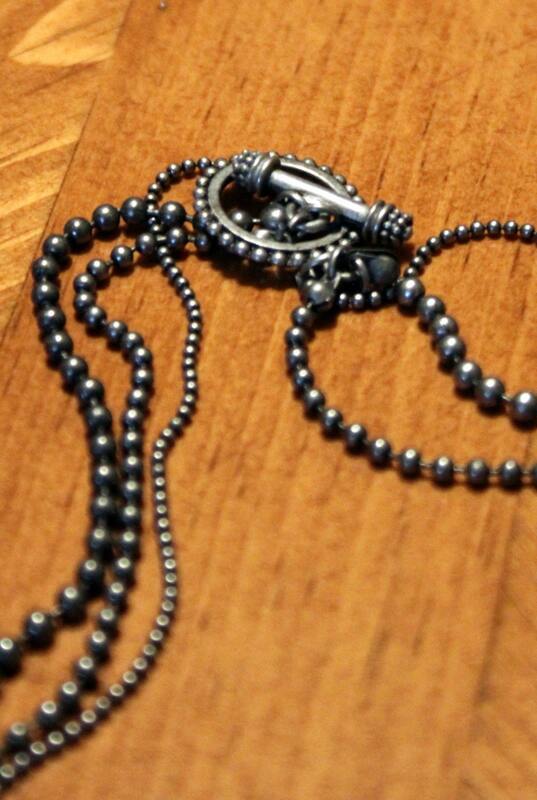 The necklace is 19" long and has a gray gunmetal toggle clasp. The necklace looks really good with black, dark gray or charcoally brown, dressy or casual.